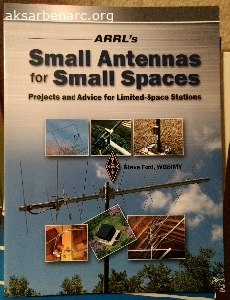 ARRL s Small Antennas for Small Spaces is a valuable resource for amateurs who live in apartments, condominiums, or houses on small lots. Filled with practical advice, this book guides you to finding the right antenna design to fit whatever space you have available. In Small Antennas for Small Spaces you ll find ideas and projects that will get you on the air regardless of where you live. Book is used but in great condition.